Services - Advance Communications & Consulting, Inc.
We have proudly served Bakersfield and all of California from Sacramento to San Diego since 1991. We are a locally owned and operated business who offers its customers certified technicians with many years of experience. 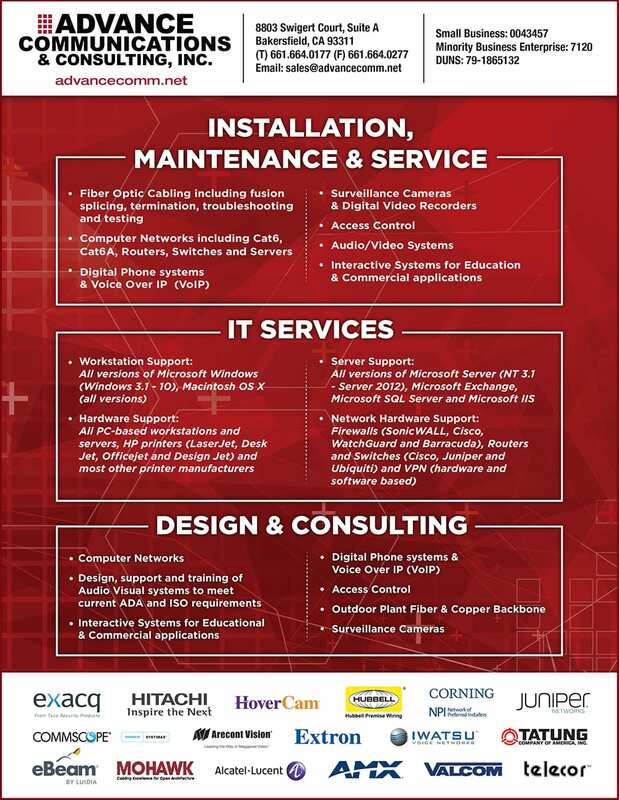 Early on, we became an industry-leading firm in all facets of telecommunications and computer networking with services ranging from small cable repairs to large campus-based systems for phone, data, cabling, fiber optic, paging systems, security cameras, audio visual, touch screens and IT service. 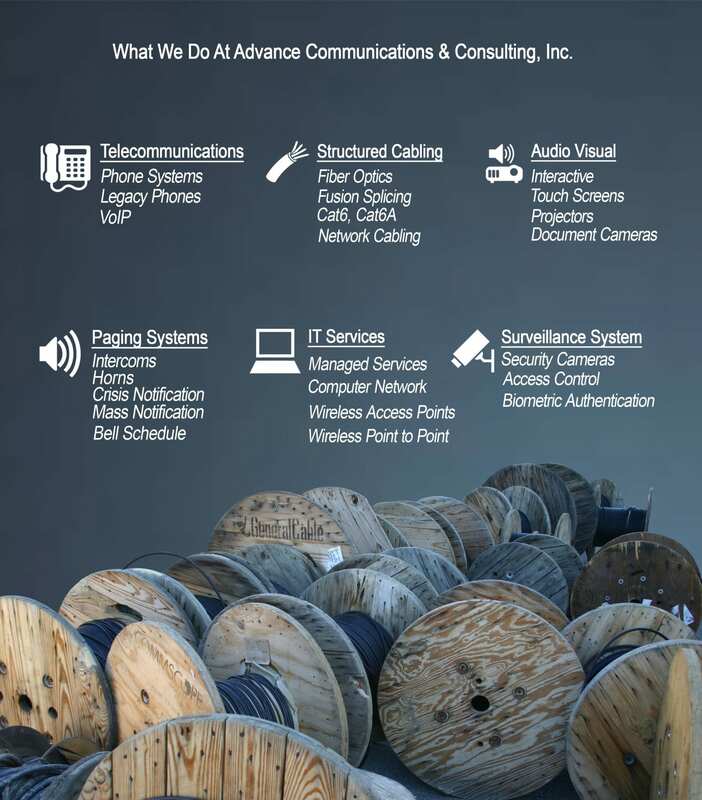 We specialize in copper and fiber infrastructure, as well as VoIP technology and legacy phone equipment. We pride ourselves in being a factory authorized installer and warranty provider of many top manufacturers. Our highly trained and experienced project managers oversee the execution of each project, making it as smooth as possible for the customer and any subcontractors working toward the completion of the project.